This afternoon, we marked Domestic Violence Awareness Month with the President and Vice President by highlighting the Obama Administration’s unprecedented coordination and cooperation across the entire government to protect victims of domestic and sexual violence and enable survivors to break the cycle of abuse. On Wednesday, November 3 Steven G. Fullwood, project director of the Black Gay & Lesbian Archive Project, will engage Jewel Woods, author of The Black Male Privileges Checklist, in a discussion about, you guessed it, black male privilege. 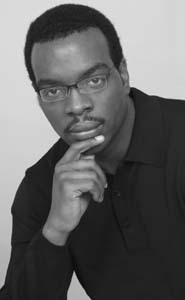 Woods, the founder and director of the Renaissance Male Project, an organization committed to building a community of practice around men’s issue while addressing intimate partner violence and sexual violence against women, has committed his life to pursuing “the paradox of men’s lives.” On his Web site, Wood asserts that examining black male privileges offers black men and boys an opportunity to go beyond old arguments of “personal responsibility” or “blaming the man” to gain a deeper level of insight into how issues of class and race are influenced by gender. According the Woods, The Black Male Privileges Checklist can be applied to all men. However, because of the specific privileges that black men have in relationship to black women, there are specific items that apply only to black men. The event, which is hosted by the Schomburg Center for Research in Black Culture, is free and open to the public. For more information visit the Schomburg Center’s public programming schedule here. For more information about Jewel Woods and the Renaissance Male Project visit here and here. When I first described the idea to Arturo, it took me close to ten minutes to relate my frustration with our limitations, the problems with our ever growing inbox, the desire to expand our content mix, and the ultimate goal of creating a space which showcased the work and creations of artists and creators of color. Racialicious focuses on pop culture critique and essays on identity. This tends to serve us pretty well. But over the last couple of years, we’ve noticed a huge glaring gap in our content – arts and culture reviews. This is partially because a volunteer blog relies on people to volunteer to review/write about a piece and that can be a pretty lengthy commitment. As part of the $2 challenge, we will create some posts around Culturelicious, which take a deeper look at art and media, and create a different type of content dynamic for the site. If you’d like to see more, please help us by pledging your support. We’re asking everyone for $2 – but feel free to give more! – which will go a long way in helping the blog reach its goals. We hope some of our readers consider this challenge. Please make your $2 pledge here. This is an excerpt from an article by Aaron Gouveia at The Good Men Project. You can read the full post at The Good Men Project. My wife, suddenly serious, pointed out a women entering the clinic. Within minutes, she said, that woman would be making a serious choice. Whether she kept her baby or not, it didn’t matter—what matters is that she can make the decision that’s right for her. And she can make it without people screaming at her. My wife and I wanted our second child. We loved her. We even had a name for her, Alexandra. You never know the circumstances surrounding this kind of decision. Consider this my plea: stop terrorizing women. Stop adding trauma to their trauma. Tomorrow night, MSNBC will air its documentary “The Assassination of Dr. Tiller” at 9pm EST. Rachel Maddow narrates this story of the murder of abortion doctor George Tiller at his church in Wichita, Kansas on May 31, 2009. The video above is a segment of The Rachel Maddow Show introducing the documentary and trailer.